This article is applicable to the Health + Ancestry Service. If you purchased the Ancestry Service, you can add reports once you have received data. The 23andMe Health Predisposition reports (that include Genetic Health Risk)* reports tell you if you have genetic variants associated with an increased risk of developing certain health conditions but do not report on your entire genetic profile. 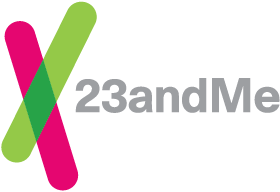 View important information about the 23andMe Genetic Health Risk Reports. Information About Navigating or Understanding Your Reports. After you have successfully logged into your account, you will be asked to supply your ethnicity. While the Health Predisposition* reports do not require you to provide your ethnicity before your report can be generated, the 23andMe Carrier Status* reports are personalized using your self-reported ethnicity and will not be generated until the ethnicity questions are completed.